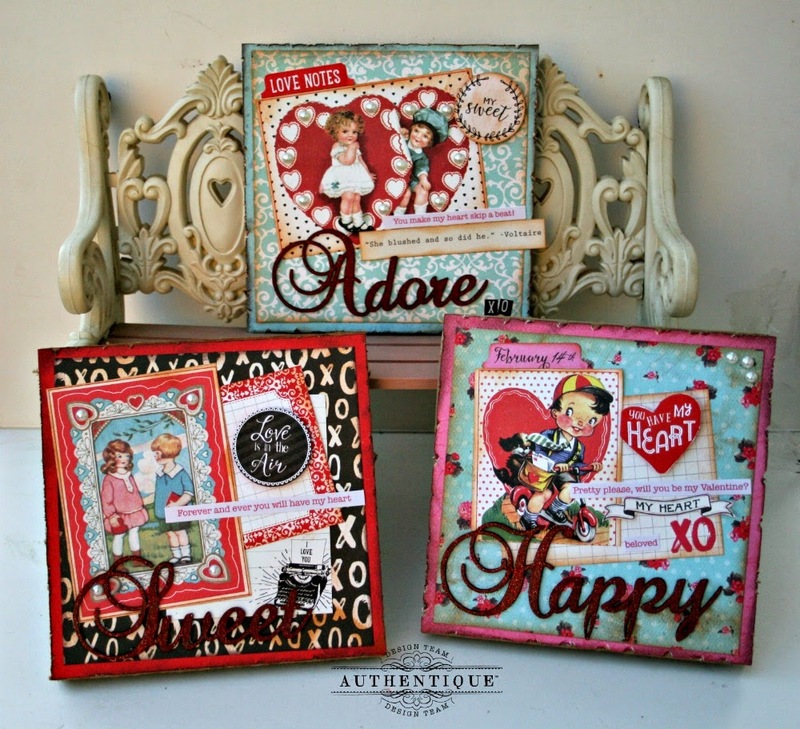 I'm very happy to share my mini-canvases created with the oh-so-fabulous "Crush" collection. 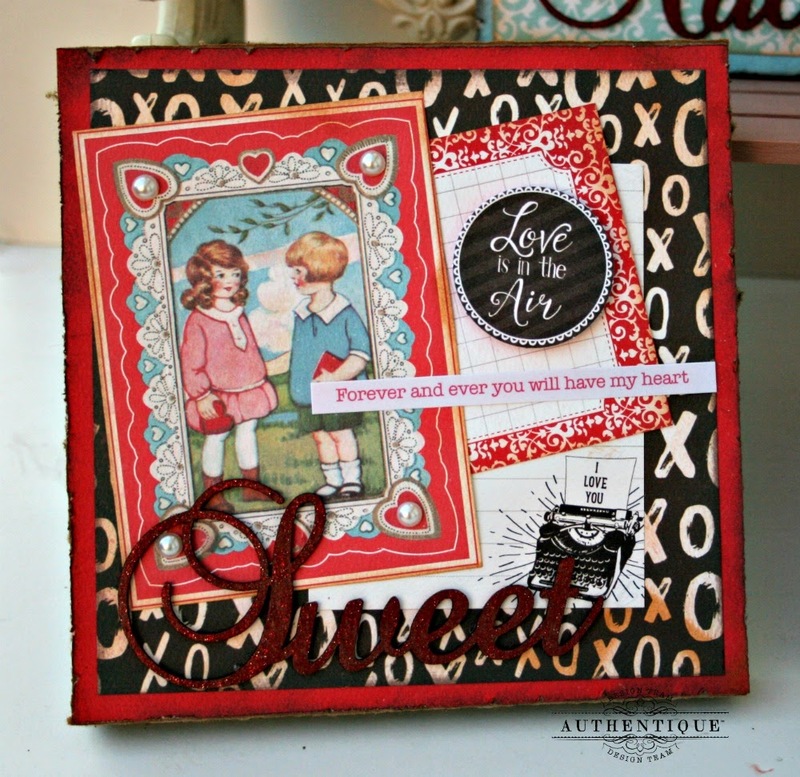 This great collection includes coordinating "love" inspired papers, diecuts, stickers, Authentic Life Cards, and pre-scored cards. These mini-canvases measure 6"x6" and are actually just thick pieces of chipboard. I began by cutting a 6"x6" piece of pattern paper, inking, and distressing the edges, then adhering to the front of each canvas. Next, I cut, ink, distressed, and adhered a 5 1/2" x 5 1/2" piece of patterned paper. 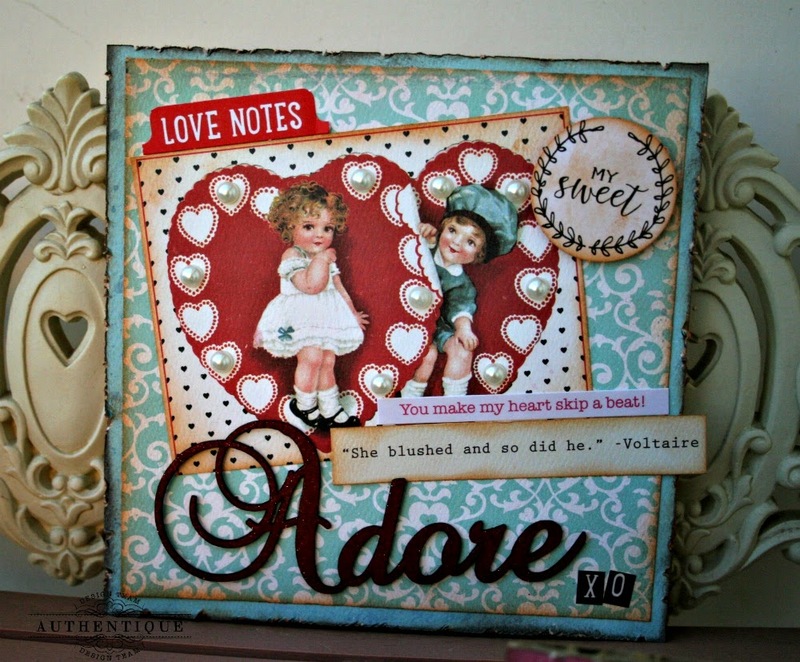 Next, I chose a few of the lovely vintage Valentine images and paired with diecuts, stickers, and Authentic Life Cards. I love the little diecuts tabs, hearts, and circles. 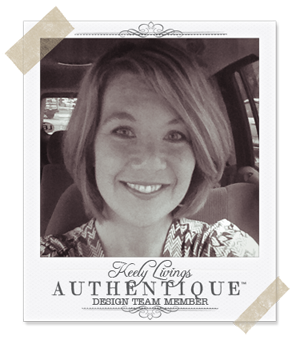 They make creating fun, interesting projects so easy! I adhered some of the diecuts with adhesive foam squares for dimension. To finish, I accented my mini-canvases with painted chipboard words and adhesive pearls. My favorite part of this collection...It's so original! 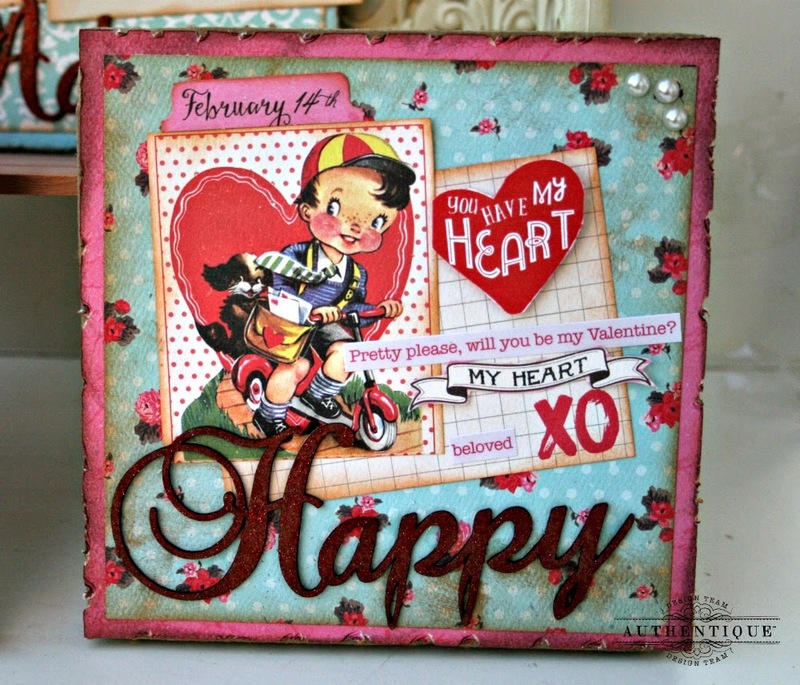 I love the combination of sweet, modern prints with traditional Valentine images. And the colors...not just your typical red and pink. The collection includes blues and lots of funky black/white prints. Perfect! So cool! Love the awesome vintage feel to them! These are so sweet and gorgeous! Great inspiration! So cute and vintage! <3 Can I have one?